Hoboken charm at its finest! Beautiful 1 bedroom/1 bath home in desirable downtown Hoboken location, just steps from the bus to NYC and a short walk to the PATH, shops, and nightlife. This perfect starter home features an open layout, breakfast nook in kitchen, and hardwood floors throughout. 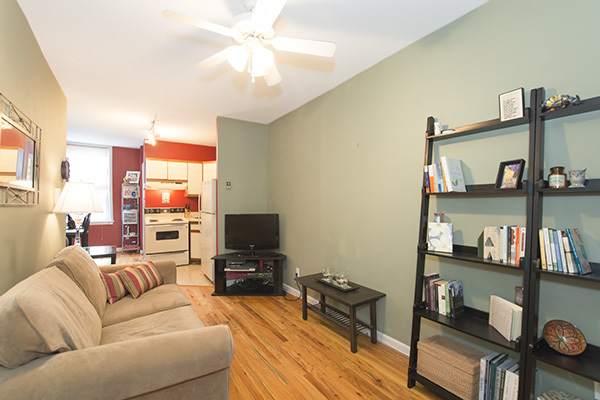 The building offers a laundry room and a well-kept common yard, perfect for entertaining. This is a must see!